"Practice your parkour skills overcoming various obstacles!" 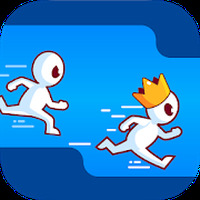 Game Goal: Run Race is a 3D racing game whose goal is to lead the race in a short obstacle course. 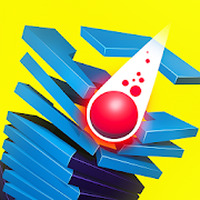 How to Play: The player must take several laps in a course that requires running and jumping over obstacles and walls to reach the higher platforms. Collect the coins you find to unlock upgrades for the character. Graphics: Colorful, minimalist 3D graphics. Sound: Comes with a lively electronic soundtrack. Controls: Touch the screen to make the character jump. If you want to jump even higher double tap. Installation requirements: A minimum of 33M of free memory space and Android 4.1 or higher. Rating: The TOP 1 Most popular games in Running Games category. Has a good level of difficulty. It is a good hobby option. It offers various levels and routes. 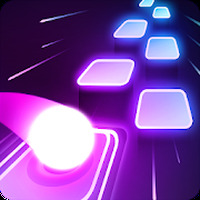 Do you like Run Race 3D? Best games of January 2017 like Sky Dancer &amp; Workemon! Outrun overcoming rivals and score a touchdown! A fun running game that will provide hours of enjoyment. Dodge bullets to survive in this epic adventure! Join the Justice League & chase after evil villains! Challenge your limits and overcome all the dangers!